At a Sprint press conference which took place half an hour ago, Motorola pledged to launch more than ten new wireless gizmos this year, including the flagship Motorola Photon 3G and Motorola Triumph smartphones. 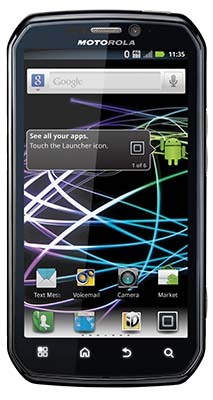 The Photon 4G files as Motorola’s first 4G device and the Triumph is their first Virgin Mobile USA device. The Photon 4G, pictured above and available this summer, sports a dual-core 1GHz Tegra 2 chip from Nvidia, a 4.3-inch qHD display, dual cameras and a kickstand. 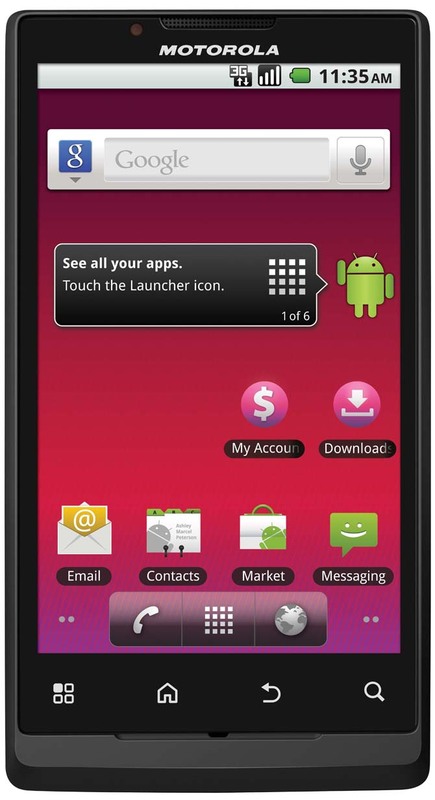 The device runs Android 2.3 Gingerbread, features international GSM capabilities and has the Motorola webtop application that lets you access desktop-class applications while hooked up with a Motorola accessory dock. Go past the break for the Triumph info and official specs. 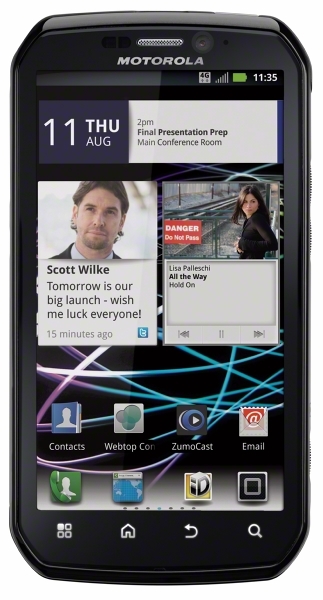 The Triumph packs in 4.1-inch WVGA touchscreen, two cameras with 720p video capture and HDMI output. The stylish handset turns heads with a slim design 0.4 inches thick profile. It comes preloaded with the Virgin Mobile Live 2.0 app that lets you stream the Virgin Mobile branded music hosted by DJ Abbey Braden. The app syncs your status updates with Facebook and Twitter and also provides access to live music performance videos, and location-based check-ins at special events. The Triumph arrives this summer as a contract-free Virgin Mobile USA network exclusive. Eight more wireless devices from Motorola will be hitting the Sprint network later this year, to be announced at due date.